I bought several Finn x Texel fleeces to use in spinning classes. 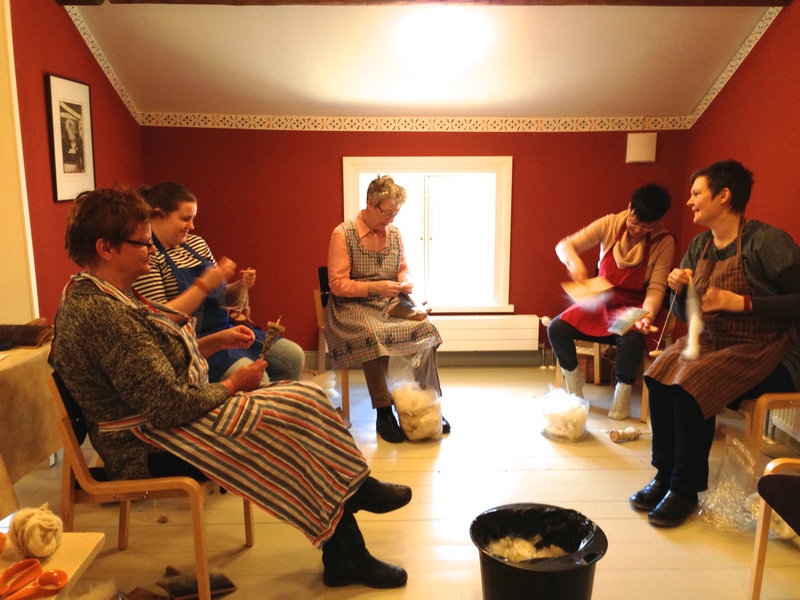 The wool is coarser than pure Finn, and easier to prepare and spin. This one I’ll spin myself. The bright colours I’ll use in a sweater for my granddaughter, the pale red and green in socks. 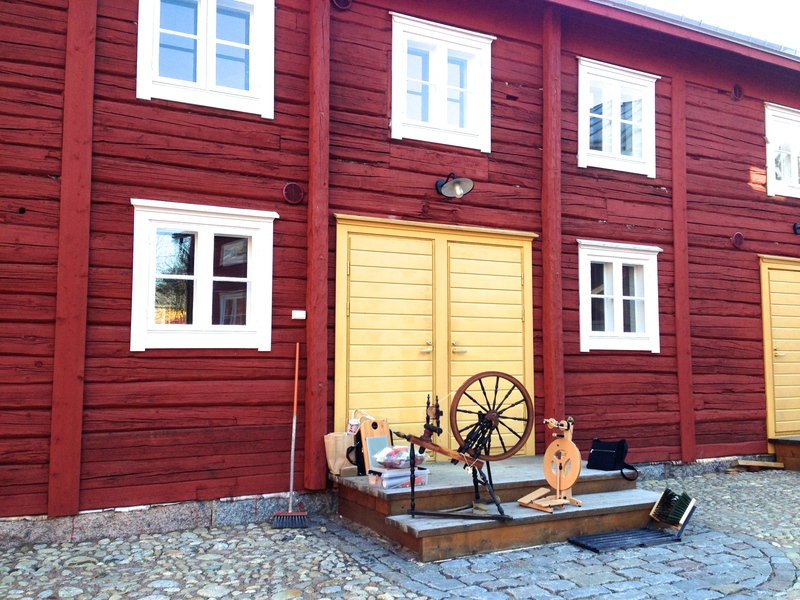 I showed my spinning wheels also, as an introduction to an upcoming wheel spinning class in the autumn. What a wonderful museum that is. So glad you are getting more people interested in spinning…all single handed! LOVE those vibrant colours. 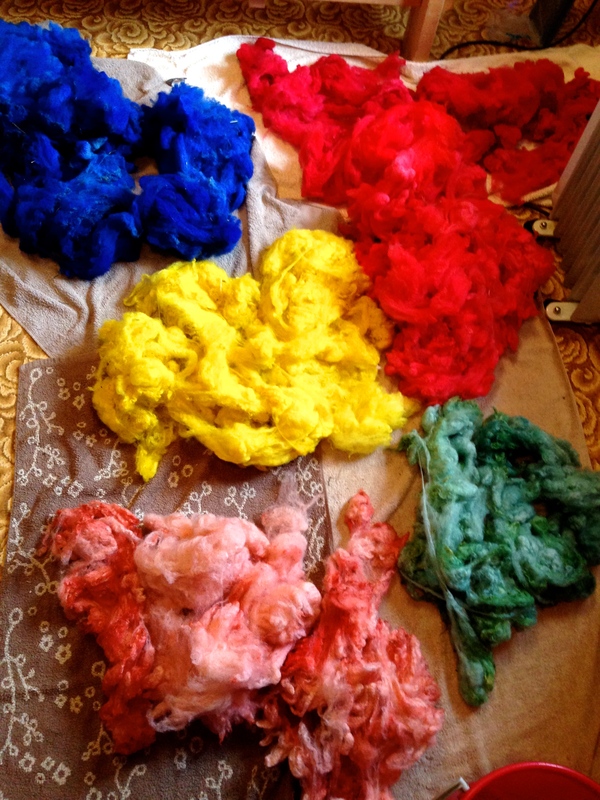 What nice bright colors in your dyed wools providing fun for beginning spinners. And what an amazing building to teach in. Looks very sturdy, functional and beautiful. Enjoy your teaching!!! !